It’s not uncommon, especially among smaller businesses, to set up a once-per-day or once-per-week backup and call it disaster recovery. About 40 percent of businesses hit by some type of disaster never reopen their doors for business, and another 25 percent fail within a year after the disaster. But disasters take numerous forms, including everything from a devastating earthquake or hurricane to a run-of-the-mill cyber attack. The primary reason these businesses fail is unpreparedness. Backups are essential, yes, but a backup plan is just one aspect of a disaster recovery (DR) solution, and disaster recovery services are but one element of business continuity. These plans aren’t something businesses can buy off the shelf. The business continuity (BC) plan has to be customized for the business. Here’s how to assure that your backups are a solid part of a sound DR plan and that your DR plan is planted firmly in a smart BC strategy. 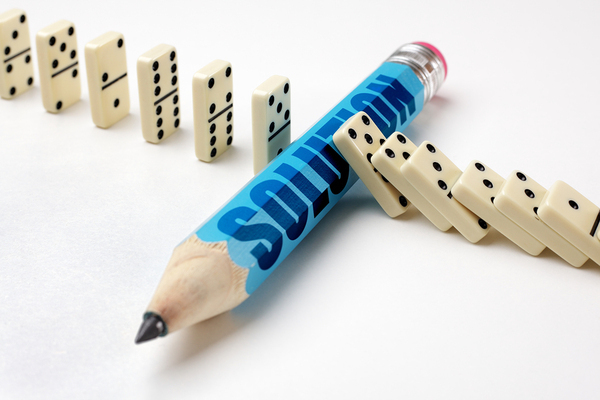 Business continuity is the development of a strategy that takes into account all the potential risks and threats a business faces and ensures that there is a plan in place to keep the business productive and solvent in any eventuality. This process involves defining risks the business faces, determining how those risks could affect the business’ ability to remain operational, and then implementing strategies and procedures to mitigate each of those risks. BC planning also involves testing the procedures to make sure the plans work as designed, as well as regular review of those procedures so that changes can be made as the business grows and changes. Disaster recovery services are a big part of BC planning, but aren’t the sum total of a comprehensive BC plan. A BC plan should list and define each of the threats the business could potentially face. For example, businesses on the east coast are far more likely to face severe weather, like hurricanes and tornadoes, while those on the west coast are more susceptible to earthquakes. But all businesses should have plans for universal threats like fires and cyber attacks. While BC focuses on assuring the continuation of business operations in any eventuality, disaster recovery services are the part of the plan that establishes means and methods by which the business can restore and recover operations if a disaster does disrupt productivity. BC attempts to prevent threats, while DR provides a way to recover from threats that actually do disrupt the business. A DR plan should include a means to recover data lost, a way to restore data center operations, a way to communicate both internally and externally during a disaster, and human resources considerations like how to assure the safety of workers during an emergency. The foundation of all good DR (and by extension, BC) plans is a solid backup solution. How often you need to conduct a thorough backup depends on the nature of your business. For example, banks can’t afford to lose even a few minutes’ worth of transactional data, while a warehouse might be okay losing a few hours’ worth of inventory transactions. But no business could afford to lose all of their data, so every business needs a regular and comprehensive backup. But not all backups are created equally. For instance, say you store all of your backups on tape in a closet off your data center. Any disaster that destroyed your primary systems would threaten your backups as well, then your backups would be useless. Offsite backup replication is essential. With a cloud-based backup solution, your business could suffer a 100 percent loss of data and the physical servers, and still crank up and operate using substitute computers and equipment. It’s the ideal foundation for a smart, comprehensive BC plan. Disaster recovery services are just one of the services offered by a managed service provider. Find out how an MSP can meet your needs today when you download the white paper: Managed IT Services For Small Businesses.